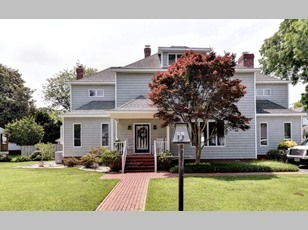 This home is a must see, located one block from the water where the fork in the York River meets the Pamunkey and Mattaponi rivers, you have views of both rivers from the 2nd and 3rd floor. Near boat launches, a public beach, docks all great for summer living. Master bath just redone, new carpet family room, lots of hardwood floors in the home.